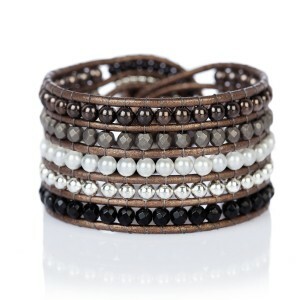 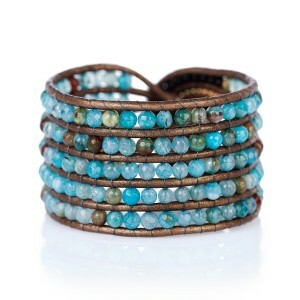 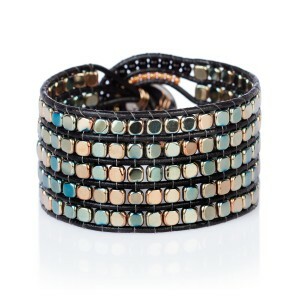 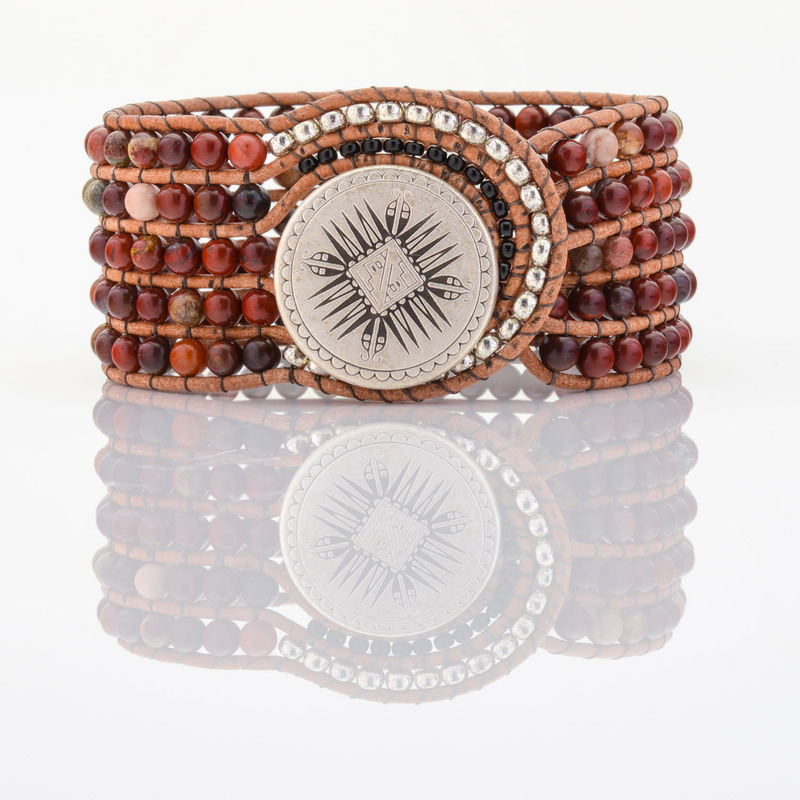 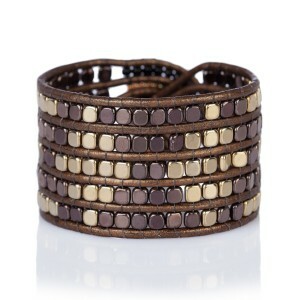 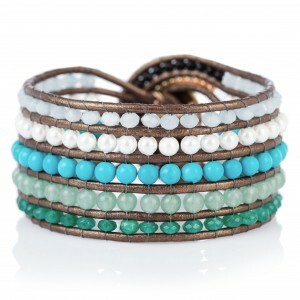 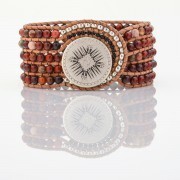 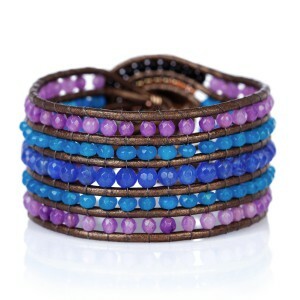 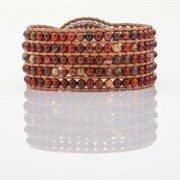 This bohemian style cuff bracelet is created with red Jasper semi-precious stones in an apple shade. 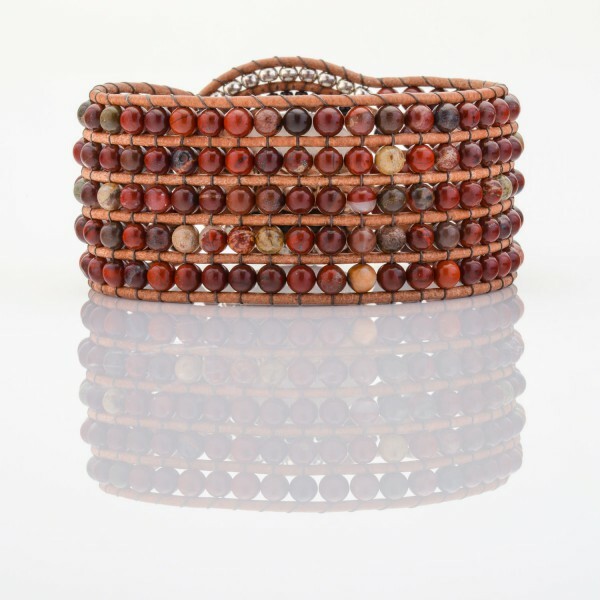 Metaphysically, red Jasper activates the Chakra to promote passion, creativity and sexual energy. This protective stone stimulates prana (life force energy) and promotes joy, vibrancy, endurance, stamina, focus and determination.